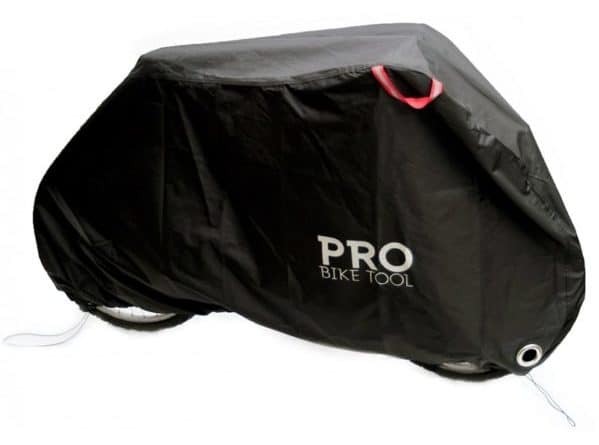 A bike cover is a great and effective way to keep your bicycle protected. Bicycles aren’t always cheap, and you want to make sure that it lasts as long as possible. Purchasing a quality waterproof bike cover will keep your bicycle out of the elements and ensure that it will last for years to come. 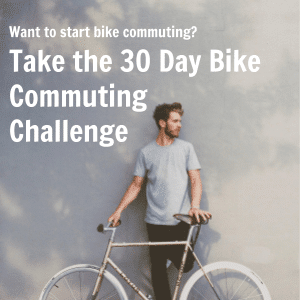 I put together an entire post answering where you can store your bike while at work, but didn’t share any advice about storage at home. The ideal situation is being able to bring your bike inside, but I know that isn’t an option for everyone. If storing your bike inside isn’t going to work, and you’ll be consistently leaving your bike outside I would recommend getting a bike cover. 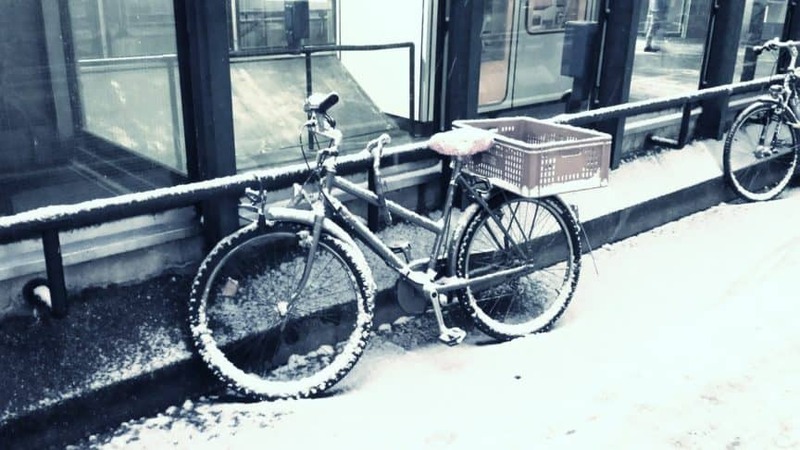 Leaving your bike outside isn’t ideal, because the elements (sun, rain, wind, snow, humidity, dust) will bring rust and slowly deteriorate your bike. protects it from water, sun, dust, and wind which will contribute to rust and corrosion. 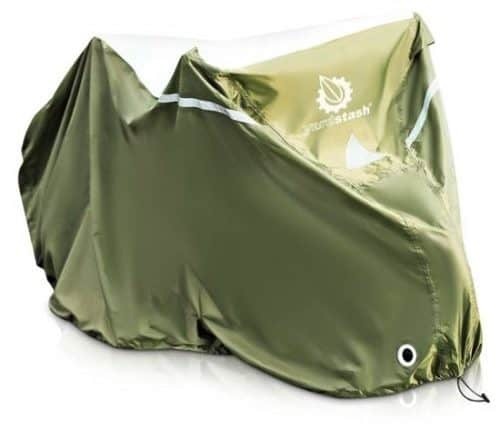 What should I be looking for in a bike cover? Waterproof. If you plan on storing your bike outside you’ll want to make sure the cover is actually waterproof. Watch out! Unless it explicitly says so don’t trust it to keep the water off your bike. I have seen multiple covers that won’t keep the rain out. Make sure you get one that will keep your bike dry. Material. There are cheap bike covers out there made of weak nylon that will rip easily on a pedal or bike part. They snag on your bike and shred like cheese. You want to make sure that you get a bike cover with material sturdy enough not to rip the moment it touches your bike, but also withstand the elements. I saw bike covers that were $12 dollars, but once you dip into the reviews you will read story after story of them hardly lasting 6-12 months. Not worth the money in my opinion. Sizing. It needs to fit your bike! Look at the size of the bike cover to make sure it will fit your bike(s). Here is a list of some of the best waterproof bike covers to make sure your bike is protected. This bike cover hits all the desired markers. It’s made of ‘RIPSTOP’ oxford fabric that is double stitched and heat sealed which provides protection from even the nastiest of weather conditions. Snow, rain, ice, wind, sun, dust? No problem! Fun fact about this fabric is that it’s used for hot air balloons and hang gliders. It’s tough stuff that is made to be extra durable and not rip. It also has a front lock hole to feed a chain or cable to keep your bicycle extra secure. If you choose to purchase the XXL sized bike cover it will allow you to store 2-3 different bicycles. You can view this bike cover at Amazon. VELOSOCK is a great looking indoor cover for your bicycle. They created a variety of fun and colorful looking covers to keep your walls and floors protected from dirt and tire marks. This is a great cover if you’re bringing your bike inside a home, office, or car. The VELOSOCK is a super-stretchy cover that will wrap nice and tight around your bike frame and tires. Thanks to the fabric it is made of it will fit most adult bicycles. This cover is not waterproof and should really be used for indoor use only. Click here to check out all the VELOSOCK designs at Amazon. The Yardstash (See at Amazon) is a heavy duty bike cover. It’s built from high quality, UV protected 210D and 600D Heat Shield polyester to withstand even the nastiest of weather. They have elastic front and back hems with a middle buckle clasp to keep the cover down when the winds start gusting. They have designed it with air vents to remove condensation, and has front eyelets to keep it locked. Most bikes shouldn’t have an issue getting covered, but here are dimensions just to make sure you’re good (82″ long x 30″ wide x 44″tall). Use it while storing your bike or even while going on a long drive. It comes with a carrying bag if you need to pack it up. 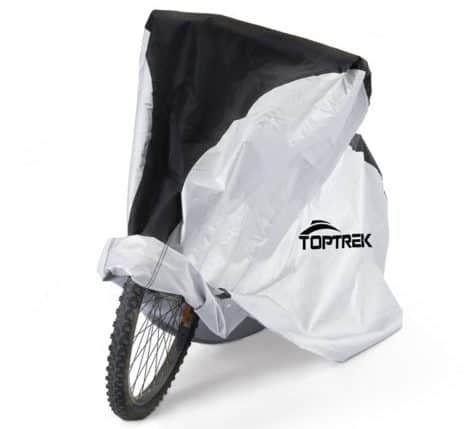 TopTrek’s cover will help your bike last a long time by keeping it out of the rain and sun. Like the ProBikeTool cover it’s made of “RIPSTOP” oxford fabric. The material will waterproof your bike and also is anti-UV material. It will fit most mountain, hybrid, road, cruiser, and e-bikes that are up to a 29″ wheel size. Exact dimensions are 78.7″ x 27.6″ x 43.3″. Toptrek holds to their cover with a 12-month warranty in case you’re not satisfied with the product. See on Amazon. There are other bicycle covers out there, but honestly most of them were cheap crap. I felt like even putting them on here would be a disservice to you. I can’t encourage you enough to not go for the cheapest options out there, because they just won’t last. If you’re looking for inexpensive than you might just want to get a tarp with bungee cords. Another out-of-the-box option is to purchase a BBQ cover. I heard many stories of people getting a heavy-duty BBQ cover to protect their bike. I hope one of the above options works for you and your needs. 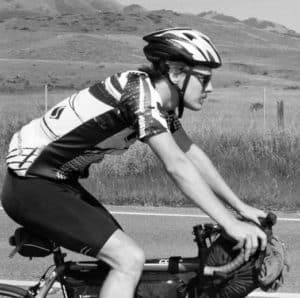 Am I missing an incredible bike cover on this list? 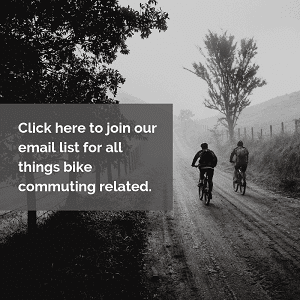 Shoot me an email at bicycle2work(at)gmail.com with the cover and I’ll look into it. Happy bike commuting!